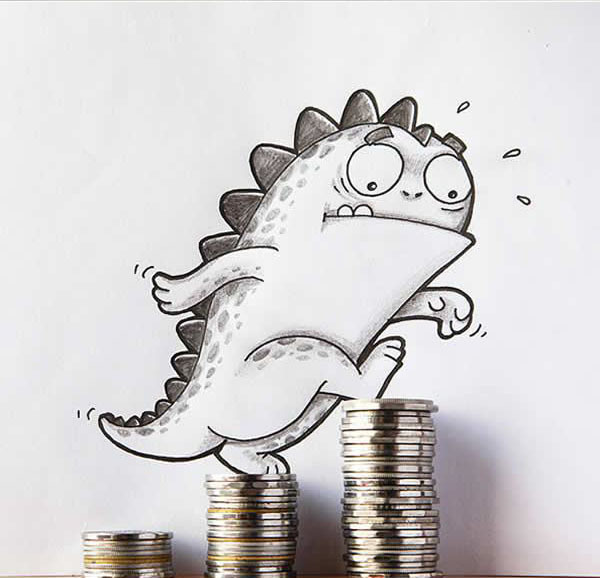 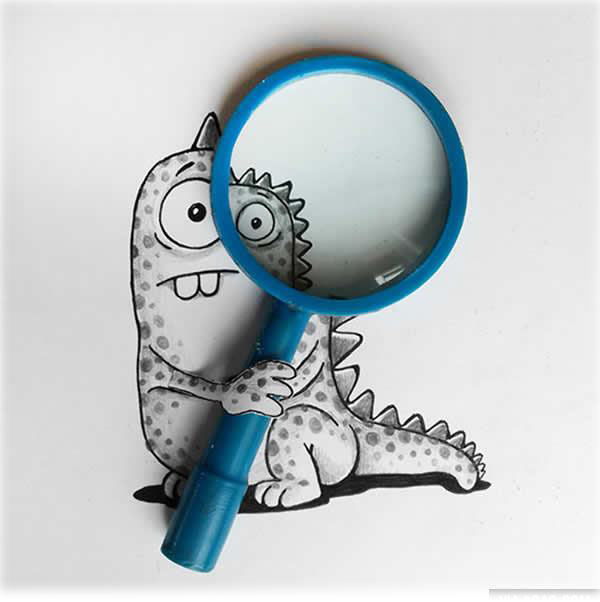 Funny Drawings of Drogo by Manik & Ratan: Drogo is a pet dragon of twin cartoonist brothers Manik & Ratan from Bangladesh. 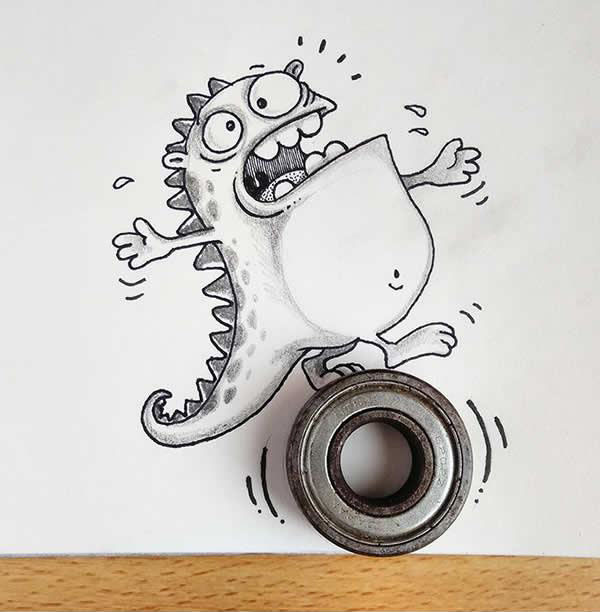 I would say they were inspired by the movie "How to train your dragon". 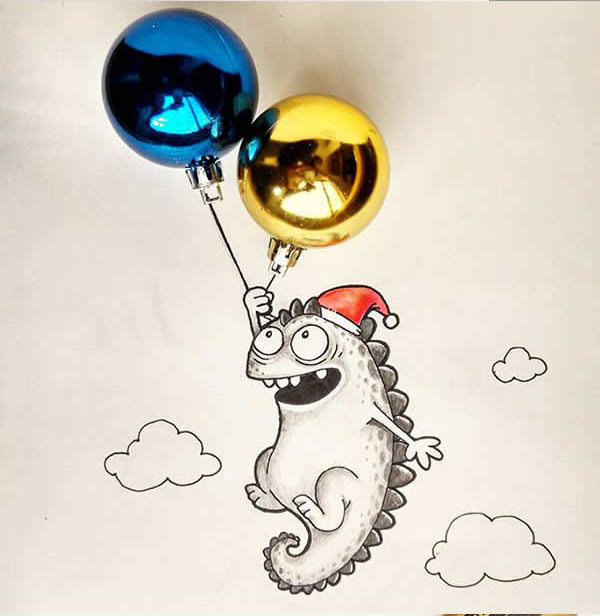 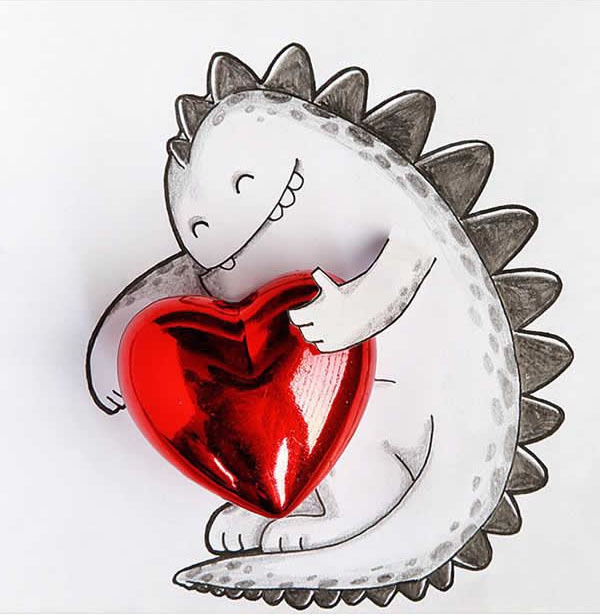 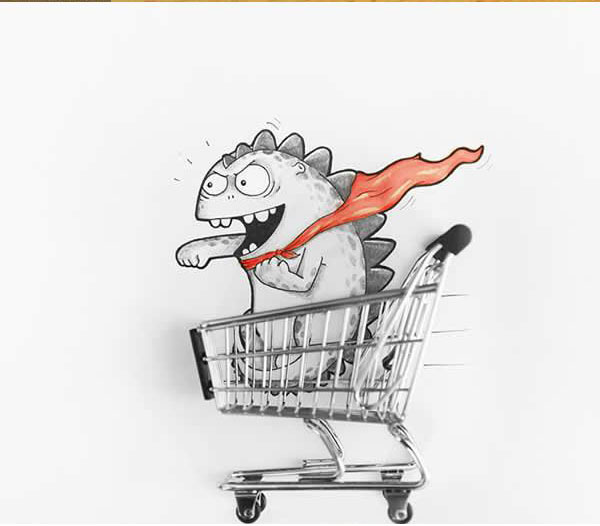 Manik & Ratan are cartoonists, animators, and designers and they are the proud creators of the cartoon dragon named Drogo. 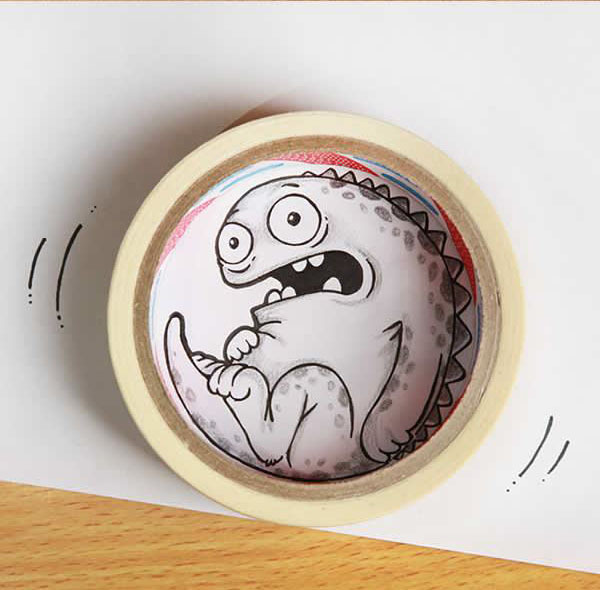 It came out so cute that they wondered how it would relate to everyday objects. 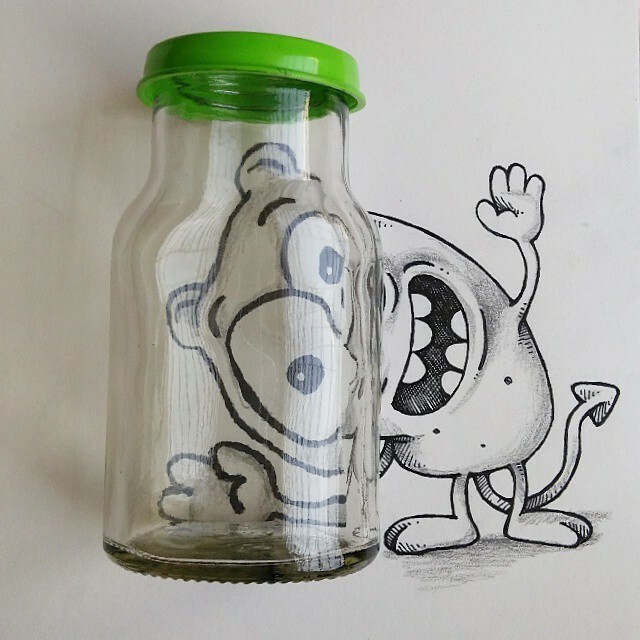 That's how their first funny drawing evolved. 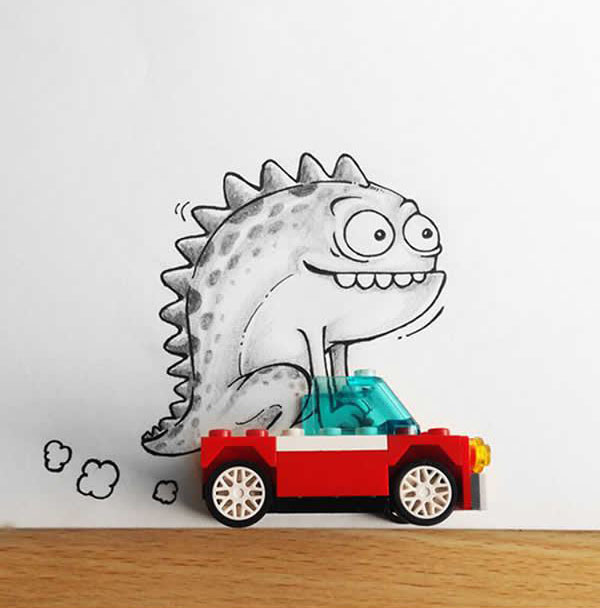 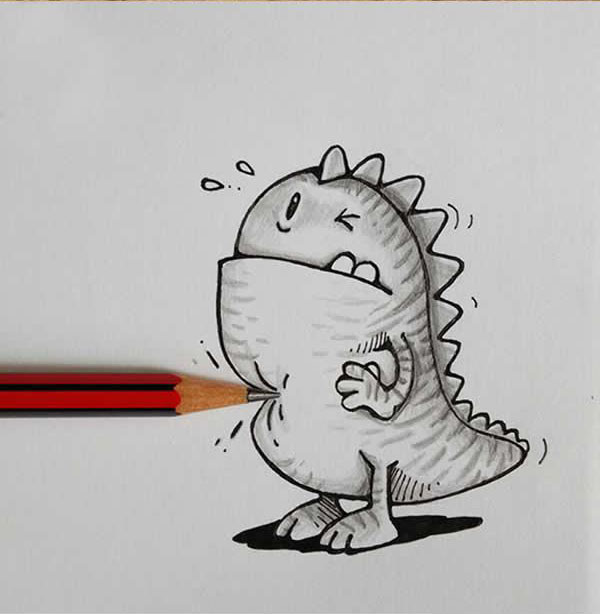 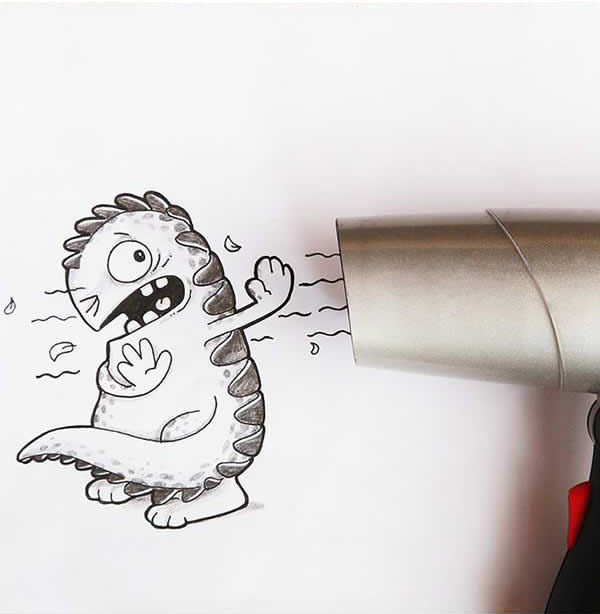 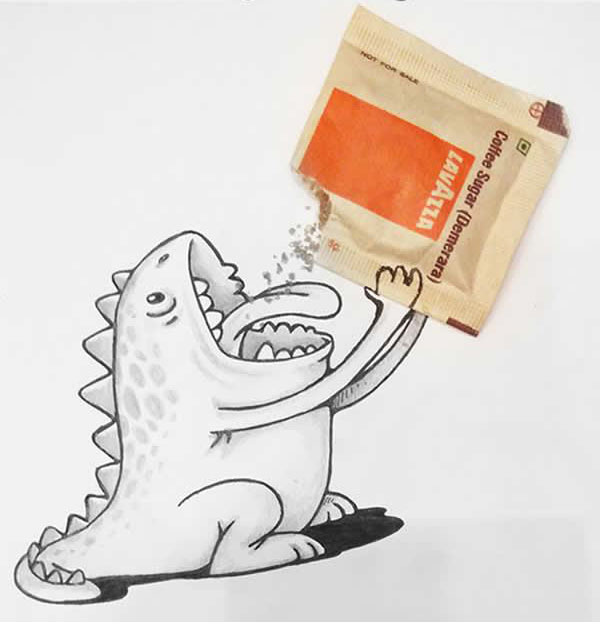 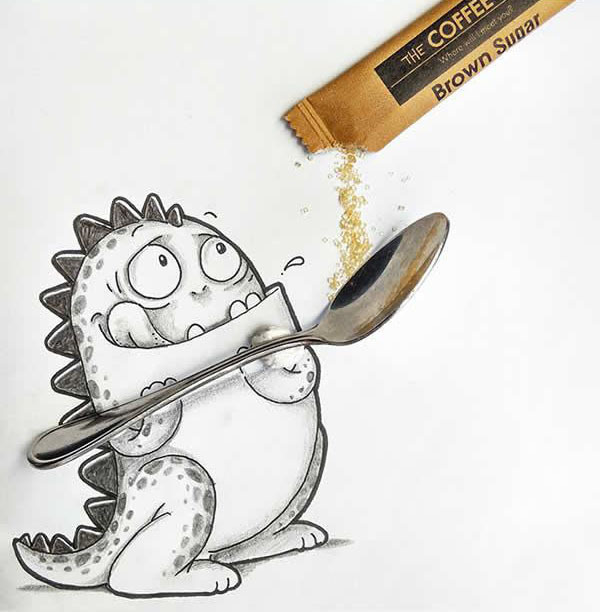 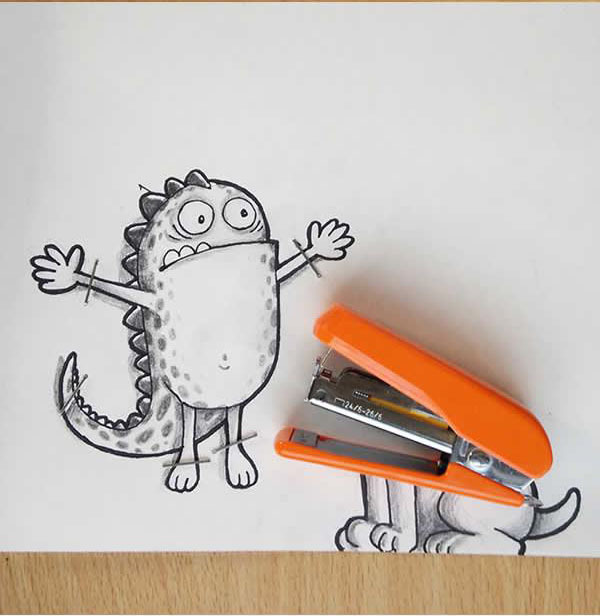 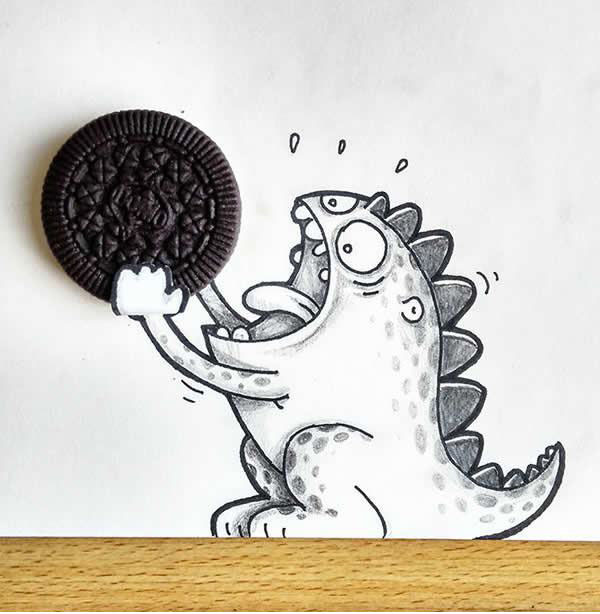 The twin brothers create funny drawings of Drogo using everyday objects like toothbrush, pencil, stapler and so on. 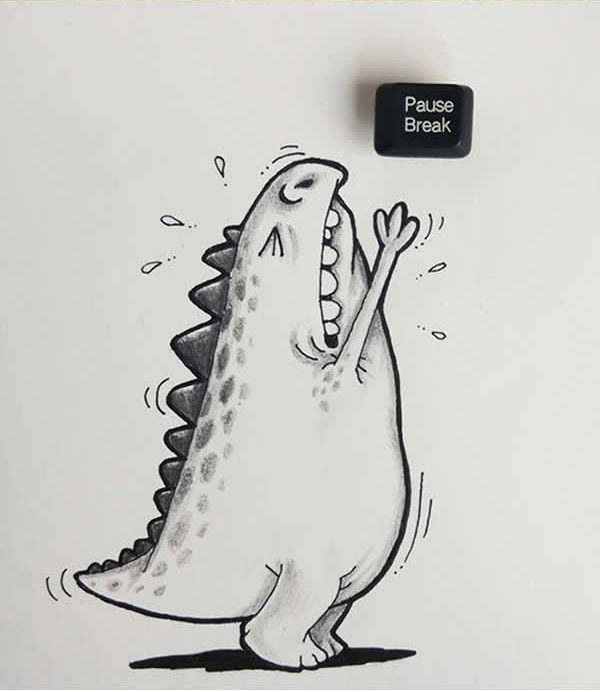 Manik & Ratan started of with drawing a dragon being poked by a pencil and it was extremely funny to see drogo being annoyed, and after that there is no stopping them, Drogo has become a part of their family. 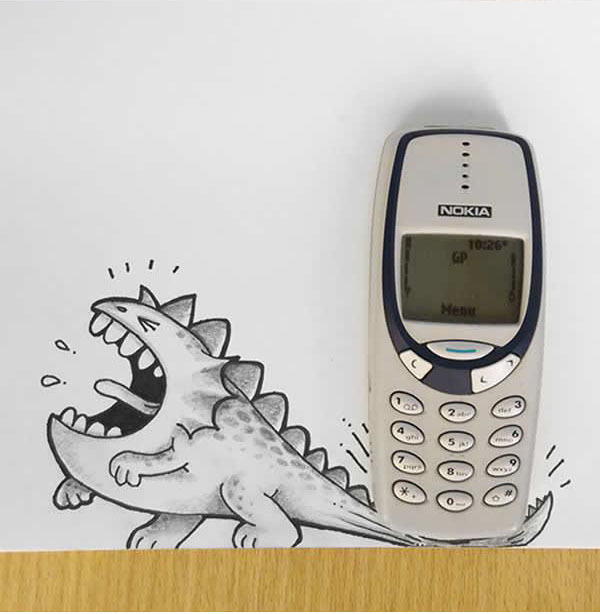 When they found that their pet dragon was quite popular on the social media sites, they decided to name it as Drogo. 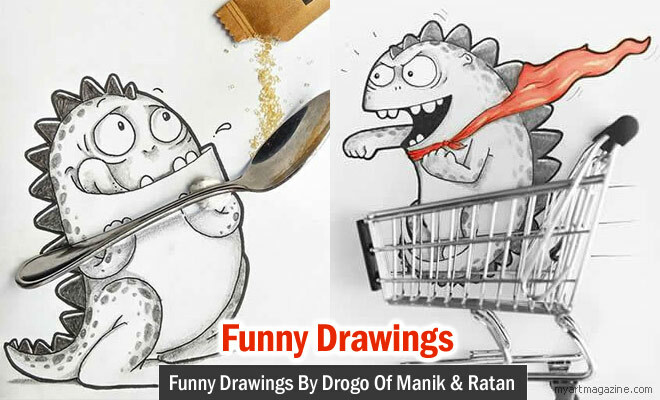 In this post we have added 15 Funny drawings of Drogo by Manik & Ratan for your inspiration.